Our previous posts (here and here) contain more detail, but to recap, the heart of this story is the bitter 2014 falling-out between Dmitry Rybolovlev, a Russian billionaire, and his onetime art dealer, Swiss businessman Yves Bouvier. Rybolovlev claims that Bouvier helped Rybolovlev build a spectacular art collection—but their relationship soured when Rybolovlev allegedly learned that Bouvier had pocketed huge markups on some of Rybolovlev’s purchases. Rybolovlev has said he believed Bouvier was acting as his agent, negotiating the best price on artworks on Rybolovlev’s behalf and taking a flat fee in exchange for his services. Bouvier says that he was an independent seller who was free to buy and resell art for as much as the market would bear, and that Rybolovlev was a sophisticated collector fully capable of protecting himself. The pair’s feud has resulted in court proceedings in multiple jurisdictions, from Monaco to Singapore. The Bouvier affair’s ripples further rocked the boat at Sotheby’s in 2017, when entities controlled by Rybolovlev began seeking, in U.S. federal court in the Southern District of New York, discovery in aid of various foreign civil and criminal proceedings against Bouvier. See In re Accent Delight International Ltd. and Xitrans Finance Ltd., 1:16-mc-00125-JMF (S.D.N.Y. 2016). Sotheby’s has also been involved in overseas proceedings related to the feud. And now, Rybolovlev has directly sued Sotheby’s in federal court in New York. See Accent Delight Int'l Ltd. v. Sotheby's, S.D.N.Y. Docket No. 18-CV-9011. The complaint alleges that, of the 38 purchases for which Rybolovlev believes Bouvier cheated him, Sotheby’s played a role in more than a dozen of those deals (involving not only the Leonardo but works by Klimt, Modigliani, Magritte, Matisse, Gauguin, and other famed artists). The complaint outlines some of the deals, alleging that Bouvier would often reach an agreement with a seller on a purchase price, but then represent to Rybolovlev that the negotiations were ongoing, ultimately persuading Rybolovlev to agree to pay a much higher price tag. The complaint urges that Sotheby’s knew Bouvier—an important Sotheby’s contact, both as a client and as a prominent owner of “freeport” facilities where artworks are often stored— was selling works to Rybolovlev at unfair markups. The plaintiff entities claim Sotheby’s facilitated Bouvier’s dishonest dealings by, among other things, providing information for Bouvier to pass along to Rybolovlev, and by providing appraisals and valuation estimates that supported the supposedly-inflated prices Bouvier charged Rybolovlev (sometimes allegedly purposely omitting information about lower prices of which Sotheby’s had knowledge). The lawsuit as a whole paints Bouvier as the mastermind of a large-scale pattern of fraud, with Sotheby’s knowingly providing “material assistance” and lending its imprimatur and credibility to Bouvier’s machinations. The claims asserted against Sotheby’s include aiding and abetting fraud, as well as aiding and abetting Bouvier’s breach of fiduciary duty. In addition, the complaint asserts that, by suing Rybolovlev’s entities in an action in Switzerland last year, Sotheby’s breached a tolling agreement; the complaint seeks to enjoin the Swiss action. The total damages sought in the complaint amount to a whopping $380 million. The new lawsuit appears to be largely duplicative of claims being litigated in other countries, and Bouvier is not a party to it at all. Sotheby’s has indicated that it intends to move to dismiss the New York action, arguing that the claims should continue to be litigated abroad. But Rybolovlev seems determined to pursue recourse against Bouvier—and now Sotheby’s—on multiple fronts. We’ll continue to monitor the ongoing dispute, but the docket indicates that the plaintiff entities plan to file an amended complaint later this month, and that the court expects the parties to brief a motion to dismiss in early 2019. But the case continues to draw attention to some of the less transparent aspects of the art market today. 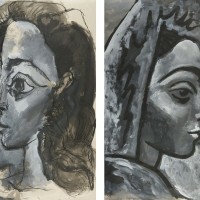 While the artists and prices involved in this case are obviously headline-worthy, it’s not uncommon for art collectors to be in the dark about many aspects of a transaction, including the identity of counterparties, the state of negotiations over a work, and the roles of intermediaries and brokers who may be compensated in a variety of ways. As always, clear contracting is often helpful in protecting a party’s assumptions and understandings.